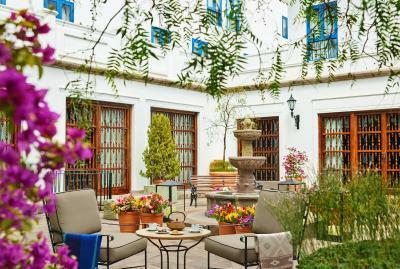 Lock in a great price for Palacio del Inka, A Luxury Collection Hotel – rated 9.4 by recent guests! The breakfast was incredible and I very much appreciated the gluten-free items as a person with dietary restrictions. The variety of items at the breakfast buffet was incredible. Buffet breakfast out of this world! Staff and spa absolutely delightful! Perfect location. Loved the tour we booked here. Great stay. The staff was excellent. We did a Spa treatment while we were at the property that was excellent. This is the classic hotel to stay in the historic center. 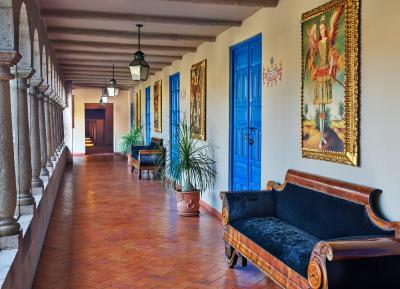 The building is in spanish colonial style, the hotel is comfortable and has a great wide lobby. Service is excellent. Upon our arrival they had upgraded us to a Junior Suite. Great bedroom with a lot of space and a gorgeous bathroom. Unfortunately our room was on the street side and even with closed windows we could hear the rattle of the cars passing by on the cobblesstones of the street the whole night. We changed rooms for the second night without any problem. The people are extremely friendly and service is excellent. The breakfast buffet was abundant with great and delicious food. We received a voucher for a Pisco Sour which we enjoyed at the bar. The food at their restaurant is excellent. The hotel organised our pick up at the bus station when we came back from Machu Picchu. Everything, this place is amazing! The building is beautiful, the staff and very helpful and polite, and the food and facilities are outstanding. We had arranged with the concierge to have a bigger room and extra bed put in to the suite. The bedding was great! It was very quiet in our room. The hotel is well located and near great restaurants and sites. The concierge was helpful at getting us a reservation for a top restaurant after our return from our trek. The bed was amazing! Actually, the entire room was amazing! The gentleman that walked us up to our room gave us a grand tour of the hotel with lots of cool facts. He was very friendly and helpful. The hotel is beautiful and in a great location! The beds were fantastic. The hotel was absolutely gorgeous! The staff were wonderful. Everything was great, the rooms were excellent value and super comfortable, the staff we really nice and attentive, breakfast was great. 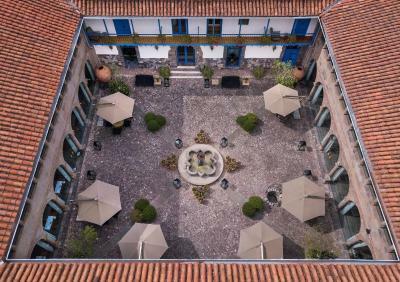 Palacio del Inka, A Luxury Collection Hotel This rating is a reflection of how the property compares to the industry standard when it comes to price, facilities and services available. It's based on a self-evaluation by the property. Use this rating to help choose your stay! 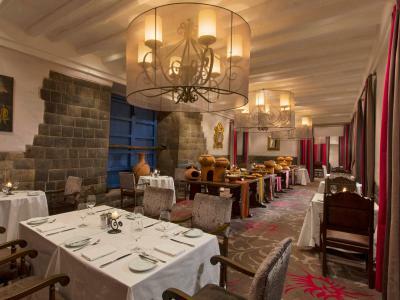 Palacio del Inka, A Luxury Collection Hotel is located in front of the Koricancha, in central Cusco. The central train station is within walking distance. Free high-speed WiFi is provided throughout the entire property. Buffet breakfast is served daily. The stylish and modern rooms provide heating and cable TV. There is a choice of twin, or double, beds. 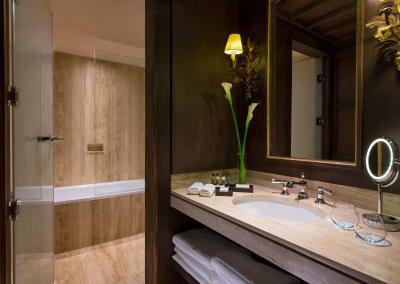 All feature quality linen and spacious bathrooms. 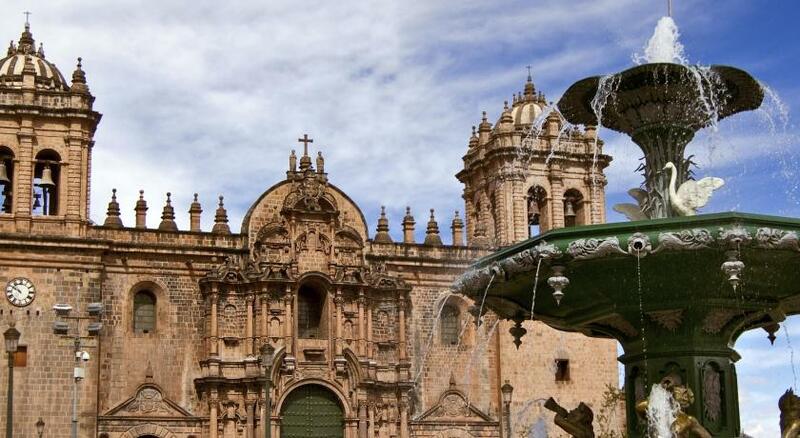 Oxygen and coca tea can be provided in the suites upon request to help with the effects of Cusco's high altitude. The restaurant serves both local and international cuisine. There is also a bar, where you can relax with a drink and superb view. Unlimited local calls and Pisco lessons are offered. Palacio del Inka, A Luxury Collection Hotel features an on-site gym and an indoor swimming pool, available for an extra fee. 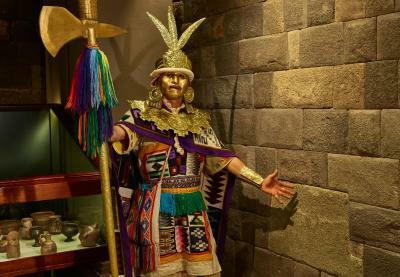 Palacio del Inka also has a partnership with Venturia travel agency to help organize tours around the city. Additionally, the property offers a guided tour through the hotel facilities. Guests are welcome to visit Tambo del Inka, a Luxury Collection Resort & Spa, located in Urubamba, just 1 hour and 30 minutes away from Cusco by car. 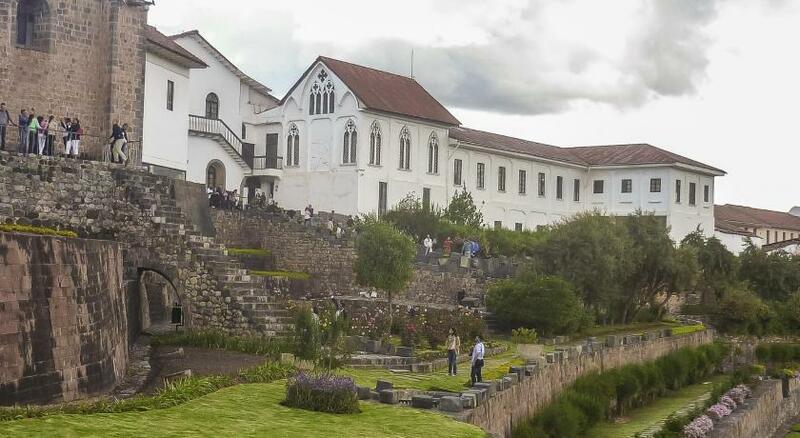 When would you like to stay at Palacio del Inka, A Luxury Collection Hotel? Rooms are 53 square yards. 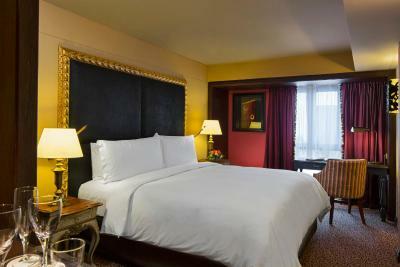 (No destination fee) Stay in a spacious, elegant and opulent environment. Our individual design characteristics pay homage to the surroundings and provide guests with the unique opportunity to experience our culture. Your stay at this Luxury Collection property will be enriched by our rooms and the fusion of cultures existent in Cusco. 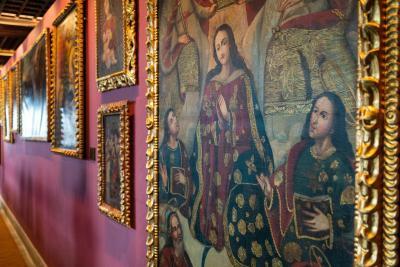 House Rules Palacio del Inka, A Luxury Collection Hotel takes special requests – add in the next step! Palacio del Inka, A Luxury Collection Hotel accepts these cards and reserves the right to temporarily hold an amount prior to arrival. New Year's Dinners are mandatory to all guests in hotel and is included in price. New Year´s eve dinner and party, for Peruvians are not exempt from taxes (18%), to be paid at the hotel. Children's breakfast is not included in any rate. 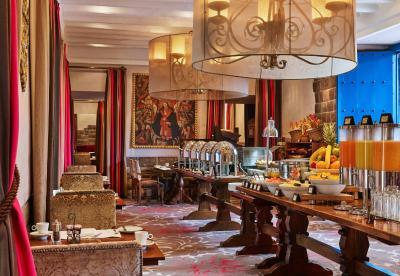 Breakfast options include: Buffet, American and Continental. Breakfast served at the hotel restaurant. The spa is available for an extra fee and children are not allowed. Access to the thermal circuit of the Spa with charge. Starwood Preferred Guest (SPG) points according to what is stated on their webpage. All minors must present their ID and be in the company of one or both parents. The hotel must comply with the LAW 30802: The purpose of this law is to establish conditions for the entry of children and adolescents in order to guarantee their protection and integrity. Based on local tax laws, Peruvian citizens (and foreigners staying more than 59 days in Peru) must pay an additional fee of 18%. To be exempt from this 18% additional fee (IVA), a copy of the immigration card and passport must be presented. Please note both documents are required for fee exemption. Guests who are not able to present both documents will be required to pay the fee. Foreign business travelers who require a printed invoice, will also be charged the additional 18% regardless of the length of their stay in Peru. This fee is not automatically calculated in the total costs for the reservation. We loved everything about this hotel, the service, the food, the facilities, were all excellent. There is nothing I would change. Seriously, it was all awesome. I didn’t like that i had to leave. For such an expensive hotel I thought that charging for water in the dining room was excessive. Beautiful building and really comfortable. Setting at the bar is very difficult. There is no room to put your legs if you are facing the bar, you have to set way back. The only thing that could have been better was if our room had air conditioning on our final night in Cusco. It did not work so we had to have the window open. It turned out that that was okay but it wasn't quite the luxury we were expecting. We liked a lot about the Palacio del Inka. The beds were incredibly comfortable. The breakfast was extensive and delicious. The staff, from Matias as the concierge and Goyo at the Bell Stand and Darwin at the Rumi Bar, were friendly, helpful, knowledgeable and professional. 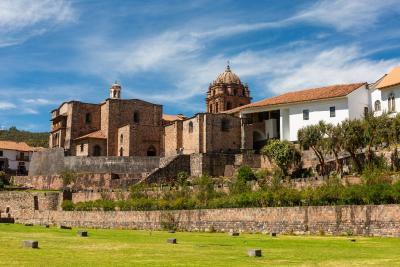 We stayed at the Palacio del Inka for two days before going to Machu Picchu and returned for a final night in Cusco before we went back to Lima. It was luxurious and comfortable. 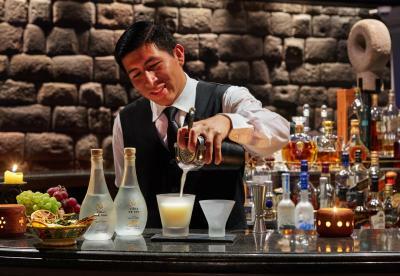 We highly recommend the Pisco Sour lesson and the hotel tour. Not the most comfortable bed. Being a protected historical building it had no air conditioning and no coffee making allowed in room and windows locked shut, coupled with the altitude made for stuffy air in room. Shampoo and lotion looked interesting, highly suspect they are refilled as the colors and scent are various depending on the days. They are defo inconsistent, worth to paying for an extra attention. Great location, helpful staff (if you ask the right questions), fantastic breakfast options. Perhaps hot choice for breakfast like omelette. Rooms were good size, staff was very helpful. Beautiful hotel with great ambience. Breakfast was sumptuous and the bed was so big and comfortable! No aircon, although it’s normally cold, it would have been good to have some aircon.